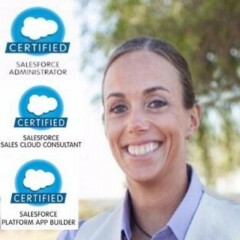 Certified #SFDC Admin/ App Builder (more to come). Proud #WIT member. Love traveling, ice cream and #CampGladiator. #GermanNative. Opinions are my own. Melanie Zilles hasn’t been active on Medium yet. Check back later to see their stories, claps, and highlights.